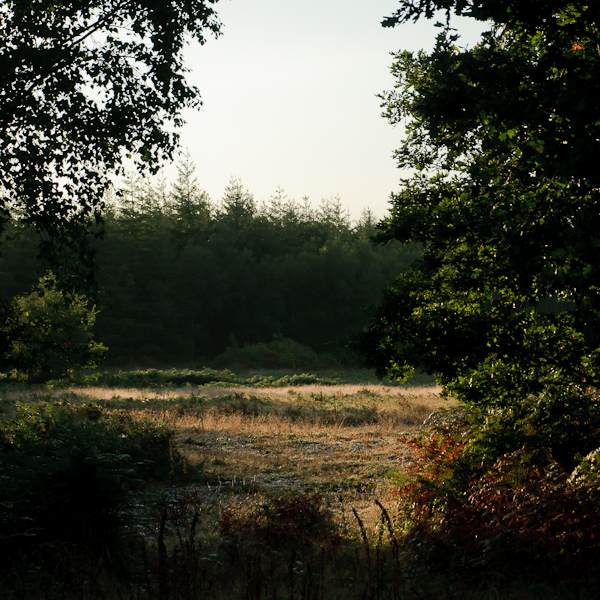 I’m currently working on a project to record dawn at the same location in Haldon Forest every month for a year. This is going to become increasingly challenging as the days shorten and the sunrise moves closer to the time when people start getting up and heading to work in their cars – on the other hand I’ll be spared the pain of getting up at 03:30! It’s now late July, and the dawn chorus is virtually non-existent. With breeding over most of the birds are busy feeding on the abundance of insects and seeds around the forest and are quiet except for occasional contact calls. In the distance a Nightjar calls over the scrubland, and then falls silent as the light grows. Tawny Owls and a Kestrel can also be heard, before a group of Ravens arrive in the area. Towards the end of the piece a Great-spotted Woodpecker flies in and begins feeding on a nearby tree. This is actually a condensed version of an 80-minute recording, with passing cars/aircraft and long periods with little or no activity removed. The Raven segment has been left pretty much intact however, to include the wide variety of different calls the birds produce. Recorded with 2 x AT4022 omnidirectional microphones in a parallel boundary array, connected to a Tascam HD-P2 recorder. Filtering applied with apQualizr to remove distant traffic noise, and levels boosted by 20dB for easier listening.